Serious games’ success depends on its capabilities to engage learners and to provide them with personalized gaming and learning experiences. 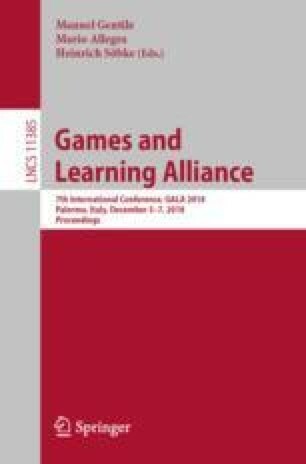 Therefore, theoretically sound mechanisms for gaining a certain level of understanding of learning and gaming processes by the game is crucial. Consequently, AI and machine learning technologies increasingly enter the field. These technologies often fail, however, since serious games either pose highly complex problems (combining gaming and learning process) or do not provide the extensive data bases that would be required. One solution might be allowing human intelligence or intuition influence AI processes. In the present study, we investigated pathfinding algorithms with and without human interventions to the algorithms. As a testbed, we used a clone of the Travelling Salesman problem, the Travelling Snakesman game. We found some evidence that in this particular pathfinding problem human interventions result in superior results as the MAXMIN Ant System algorithm.